Tóra had this stone raised in memory of Hróðleifr, her son. May God help his spirit. Fótr carved. 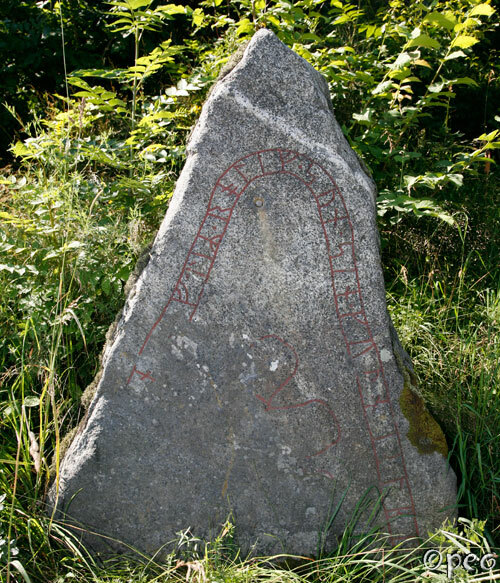 This rune stone is standing next to an old road.